One of the benefits of the sixth form is the opportunity to experience a free choice of subjects. The chance to put together a programme of courses that suits your personal interests, strengths and future career needs is exciting. This brings with it the responsibility of ensuring that you make the right choice. Changes to A levels are being introduced by the Government so that the course will be linear with all assessments at the end of two years of study. The general expectation is that students will choose 3 A levels in Year 12 and continue with those subjects for two years. 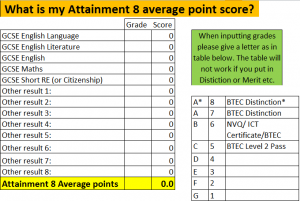 Assessment on the A level course is designed to test your understanding of the whole two year course, not just Year 13. Where appropriate academically, we will consider allowing students to sit four subjects, although this is not expected. These are vocational courses linked to a broad occupational area. They are more careers-focused than traditional A Levels and are an alternative route to Higher Education. The qualification is assessed using assignments or coursework and some exams. Applied A-Level courses can be studied as Single or Double awards. The Double Award is equivalent to two A Levels and the Single Award is equivalent to one A Level. BTECs are work-related qualifications, suitable for a wide range of students, which are designed to accommodate the needs of employers as well as allowing progression to university. They provide a more practical, real-world approach to learning alongside a theoretical background, and can be taken as well as, or instead of, A Levels. They provide a specialist work-related qualification that covers the key knowledge and practical skills required in the vocational sector and also offer different emphasis through the choice of specialist units. It can be the equivalent to one or two A-Levels depending on the qualification taken. Students should be aware that some of these are 2-year courses only. Students will be asked to indicate an interest in Year 12 with a view to completing the qualification by the November of Year 13.
honour the agreement with the school that you sign on entering the Sixth Form.